This is the first French edition of The Dark Wind. 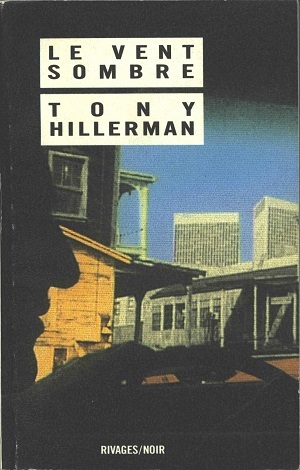 This edition was translated by Danièle and Pierre Bondil, who completed all the translations of Hillerman's work for the Rivages, Rivages/Noir, and Rivages/Thriller editions. This Rivages/Noir edition of Le Vent Sombre follows the typical format for the publishing house's Hillerman releases: a small paperback with a tinted vintage photograph cover, a map of the region covered in the novel, a translators' guide to pronunciation of Navajo words, and an extensive glossary of historical and cultural references pertinent to the plot at the end of the book . Format: Paperback, 17 x 10.8 cm. Binding: Paper covers with tinted color photograph and the spine is white with the author, title, the publisher's name, and the number 16 vertically printed in black down the spine.